Quick Blobin! 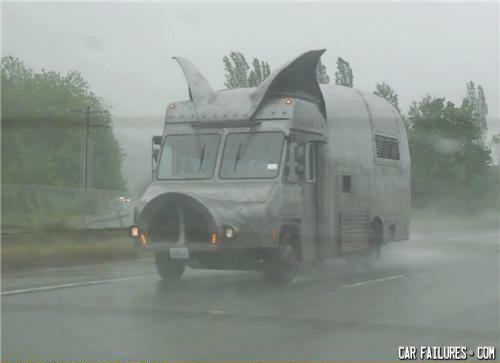 To the Pigmobile! How freaked out would you be if you saw that coming through the mist? Angry Birds FEAR THIS!!! FEAR IT!!!! You have officially been OINKED! Spider Pig's mode of transportation. Well, he can't swing from a web (he's a pig), what did you think he would do? Y is dis a fail????!?!? !